When patients speak with the fertility specialists at our San Antonio practice, they know they are getting honest answers and straight talk. This is what makes us a leading fertility treatment center in the region, with countless patients coming here for in vitro fertilization (IVF) and other fertility treatments. During IVF, patients may experience some cramping and discomfort. Let's take a moment to consider when cramping may occur during IVF and whether or not this is a sign of concern and worry for patients. IVF is a process in which viable eggs are retrieved from a woman to be fertilized in a lab setting. When the embryos are ready, they are transferred back a woman. The embryo implants itself along the uterine lining in order to be carried to term. That's a simplified version of the entire process, which can be quite involved. There are numerous side effects that patients experience as part of the IVF process, which include reactions to fertility medications as well as side effects from the harvesting and transfer process. Cramping tends to be a recurring side effect in many points of the process. Is Cramping During IVF a Bad Thing? Cramping may occur during different stages of the IVF process. For many patients, it is just a temporary and minor side effect. Though unpleasant, it is not a sign that treatment is going poorly. We'll discuss why some cramping can lead to anxiety in patients, and why these worries are understandable though not always warranted. That said, any serious cramping or severe spotting experienced at any stage of the IVF process should be brought to the attention of a fertility specialist as soon as possible. Fertility drugs are meant to help balance hormones and promote the development of viable eggs to be harvested. One of the minor side effects that women may experience from taking fertility drugs includes cramping. These cramps are often similar to the ones women experience when they go through their monthly cycle. Following egg retrieval, some cramping and spotting are not uncommon immediately after the procedure. In fact, some cramping and sensations of bloating can last for up to a week after the egg retrieval has been performed. These side effects are a normal part of the IVF process and nothing that should raise alarm. When cramping occurs after following embryo transfer, many women may feel worried that the IVF process has failed. 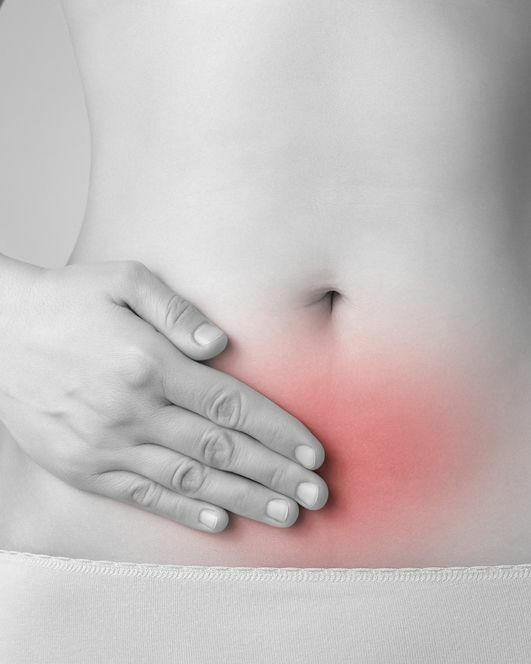 These cramps often feel like the pains associated with their monthly cycle, so there's a sense that implantation did not occur. Cramping after embryo transfer can be twofold, since the cramping could also be a sign of a successful implantation and subsequent pregnancy. The anxiety is especially high during embryo transfer since it is all about a waiting game to see if the embryo has successfully implanted. This can cause a great deal of worry and excitement with which we can sympathize. All we can say to these valid feelings is that patients should be realistic and patient about the results of treatment. At all stages of the IVF process, be sure to follow all instructions from your fertility specialists closely. These instructions can help minimize side effects and help promote successful IVF treatments. For more information about IVF and whether or not it's an ideal treatment option for you, be sure to contact our team of fertility specialists today. We will work closely with you to help you start the family you have always wanted.